Credit: The Institute of Plastics Processing (IKV—Institute für Kunstoffverarbeitung) at RWTH Aachen University in Germany. Together with four German partners, the Institute of Plastics Processing (IKV—Institute für Kunstoffverarbeitung) at RWTH Aachen University in Germany has developed a novel approach to treating common bladder complaints, like an overactive bladder. It has been proposed that the technology can replace the need for regular tablets and catheterisation. The approach comprises a single degradable drug delivery system—featuring an absorbable matrix of polymer microspheres loaded with drugs and embedded into a foamed carrier system—being placed directly in the bladder. The rates of release of the drug and of excretion of the system are controlled by the degradation rate of the carrier system. The carrier system is being manufactured at IKV in a process called the CESP process—the controlled expansion of saturated polymers. CESP technology enables the possibility of processing temperature-sensitive materials, like the used poly (D,L-lactide-co-glycolide)-co-PEG. The material can be processed in a CO2 atmosphere at high pressure (approximately 50 bar, or 725 psi) at low temperatures of around 50°C. 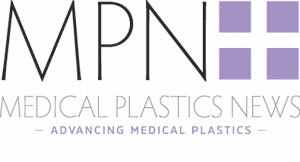 By an extension of the CESP process, a powdery polymer microsphere mixture can be foamed specifically via a pressure-controlled continuous variable discharge. The adjustment of the degradation rate of the carrier system to medically necessary periods is possible by the termination of the foam structure. For reproducible manufacturing of the carrier system in the range of micrograms a dosing unit and adapted cavities are integrated into the process chain. This extension of the CESP process allows more applications in the scope of absorbable, drug-eluting implants. By means of the reproducible dosing of the materials and the optimised controlling of the process, porous osteosynthesis plates or stents are possible as well. Within the project, it is IKV’s task to develop the foamed carrier system. The partners include overactive bladder drug manufacturer and owner of the Spasmex brand of bladder control agent Dr Pfleger, medical coatings specialist Hemoteq, the interactive materials research institute, DWI, at RWTH Aachen, and the department of urology of University Hospital Aachen (UKA). According to IKV, the participating institutes extend their thanks to the Federal Ministry of Education and Research (BMBF—Bundesministerium für Bildung und Forschung) for supporting this research project.